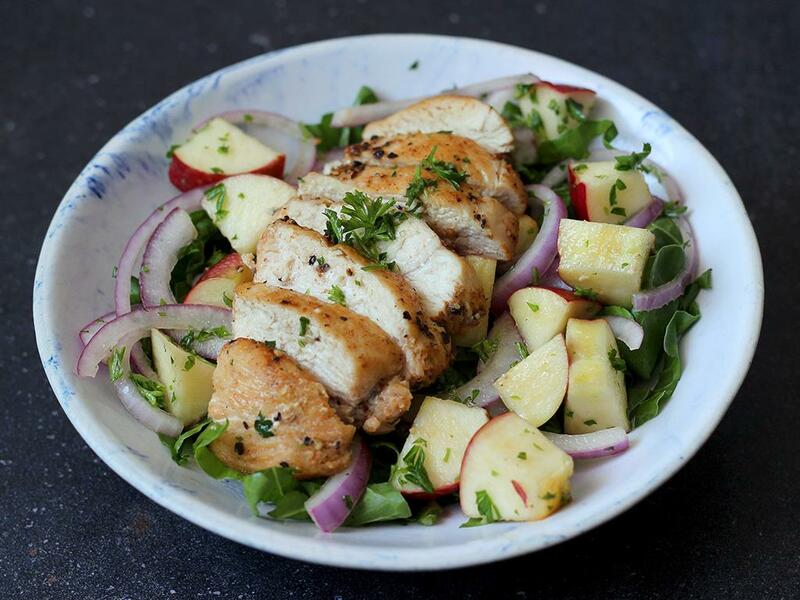 Sliced chicken on a bed of spinach topped with cucumber, apple and onion salsa. Salsa - In a large bowl, combine the cucumber, onions, 2 tbsp of olive oil, lemon juice, honey and parsley. Season with a small pinch of salt and pepper and toss to combine. Serve chicken sliced on a bed of spinach topped with the cucumber and onion salsa.